The unpredictable nature of Gallagher Premiership Rugby continues to confound. Wasps ended Exeter Chiefs’ unbeaten home record on Sunday while Bristol Bears downed Saracens for the first time in more than a decade. 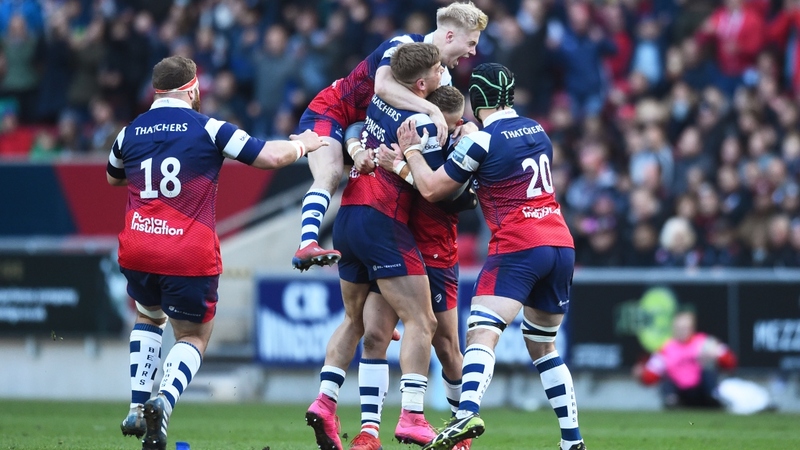 Gloucester came storming back from the dead to down Bath Rugby, Worcester Warriors climbed clear of danger with a bonus-point win over Sale Sharks. 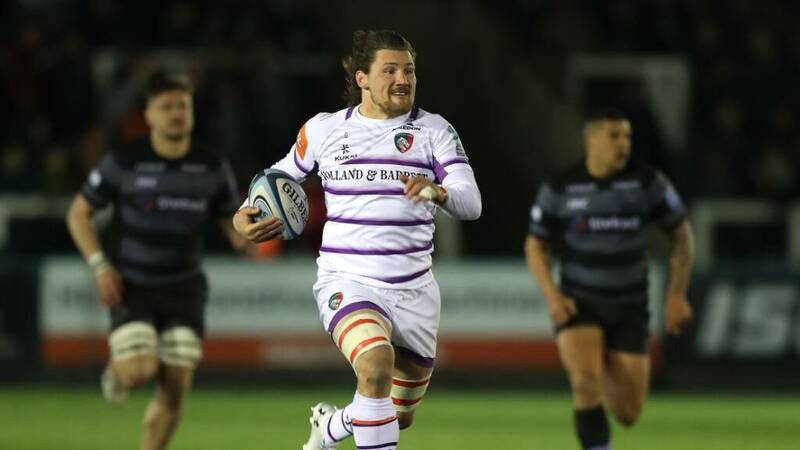 And the drama doesn’t stop there, Northampton Saints claiming a last-gasp win at Harlequins while on Friday night, Leicester Tigers bagged a crucial win at the Newcastle Falcons. Nathan Hughes was the key cog on Sunday for Wasps in their maiden league win at Sandy Park. And Josh Adams claimed a second-half hat-trick in downing Sale Sharks at Sixways. But the player of the round was undoubtedly Guy Thompson for Leicester Tigers. The No.8 has been hit by injury this season but was everywhere on Friday night at Kingston Park. He created Jonny May’s first try with a fine break and offload, crossed for two tries of his own and even produced the match-winning turnover at the death. The back-rower almost single-handedly dragged the Tigers to victory and moved them one step closer to safety. Ian Madigan was a gutted man last month for Bristol as his late penalty went wide and they slipped to defeat to Worcester. But on Saturday evening, he held his nerve after climbing off the bench to bisect the posts with Bristol’s late penalty. That condemned Saracens to a fifth league away win on the spin, and Madigan was mobbed immediately. Trailing 19-13 at the Stoop, Saints needed something special to save them. And it was replacement scrum-half Alex Mitchell who provided it. The 22-year-old snuck up the blindside, produced two dummies and barged over for a fine score, then James Grayson held his nerve to kick the subsequent conversion. Freddie Burns’ cross kick to Ruaridh McConnochie was a thing of beauty at Kingsholm as Bath came storming out of the blocks. Nathan Hughes also produced a fine kick on Sunday to set up Marcus Watson. But the no-look pass from Danny Cipriani to put Josh Hohneck into the clear for the key score was just a joy to behold. The man is a magician. Vereniki Goneva danced clear down the right to set up the try of the weekend. But the Falcons winger’s offload then released Sonatane Takulua and the No.9’s hand-off on George Ford was a beauty. The No.10 was left grasping at thin air and the Falcons had come storming back in the first half. Josh Adams was one of Wales’ breakout heroes in their Grand Slam success in last month’s Six Nations. And the winger has returned to Sixways for his final campaign with the Warriors and carried on that form. The winger had a second-half hat-trick, the second a fine team move, and the Sharks had no response. Hughes also gave Eddie Jones a timely reminder of his talents on Sunday at No.8 for Wasps. Jonny May and Jack Nowell both crossed for tries this weekend as well. Zurab Zhvania’s emphatic slam down over the line brought up the bonus point for Wasps. But his celebration afterwards was the real highlight. It’s not often you see a prop looking cool, but the Georgian came pretty close in front of the Sandy Park faithful.